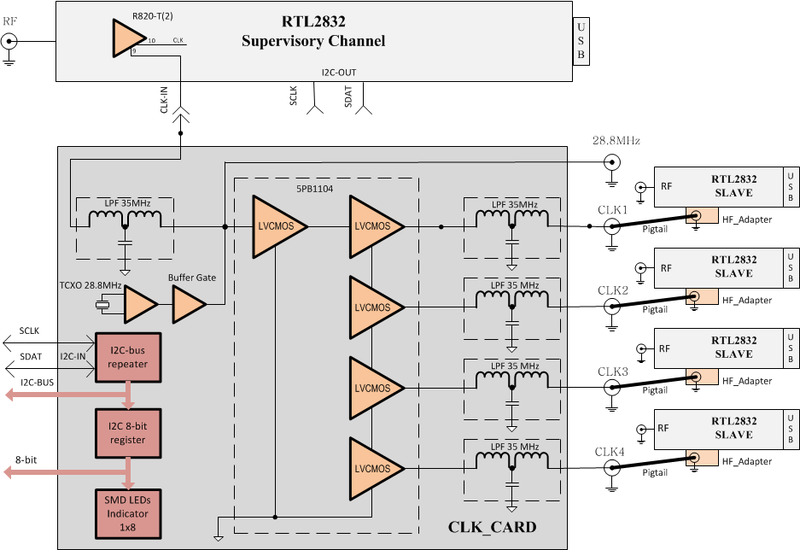 1 Clock Card (CLK_Card) is used for the realisation of the entry level receiver. Such architecture enables the configuration of up to 5 receiving channels. 4 channels are synchronised by the Buffer Clock 5PB1104 and 1 channel is synchronised directly by the TCXO 28.8 MHz (see the block-diagram for more details). 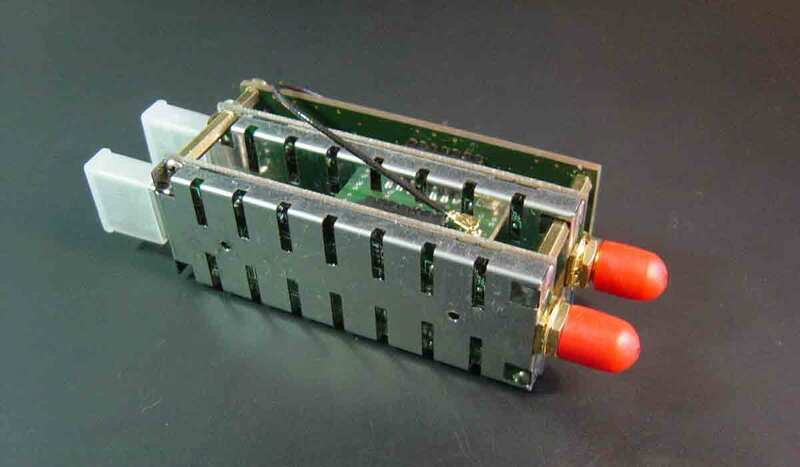 The 28.8 MHz output can be used for the connection of one or more single-channel receivers (using HF-adapter) or EXP_Card for the middle level configurations. 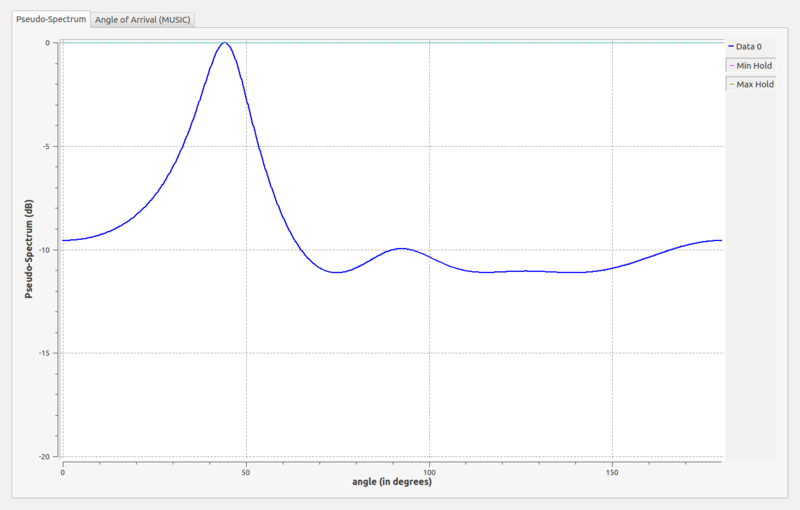 Temperature compensated oscillator (TCXO) : 2 PPM (2 PPM initial offset, 0.5-1 PPM temperature drift). Higher precision, e.g. 0.1, 0.5, 1.0 ppm, available on request. 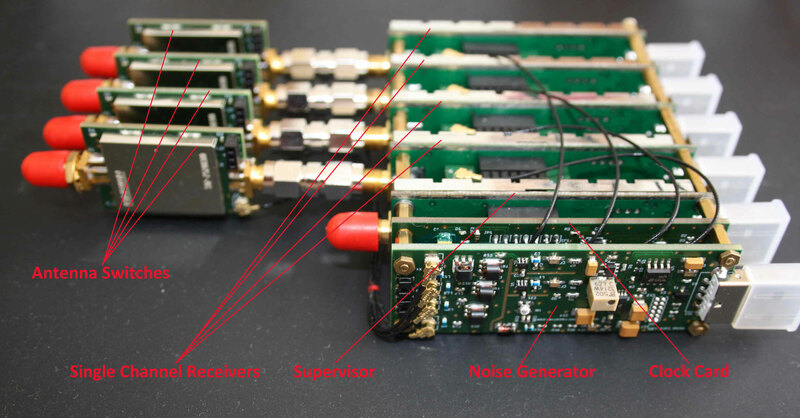 The Supervisor can be tested by starting a SDR-programm, like rtl_fm or SDR#. Tune this receiver to the FM-Station and you have to get FM-signal without any additional steps or configurations. 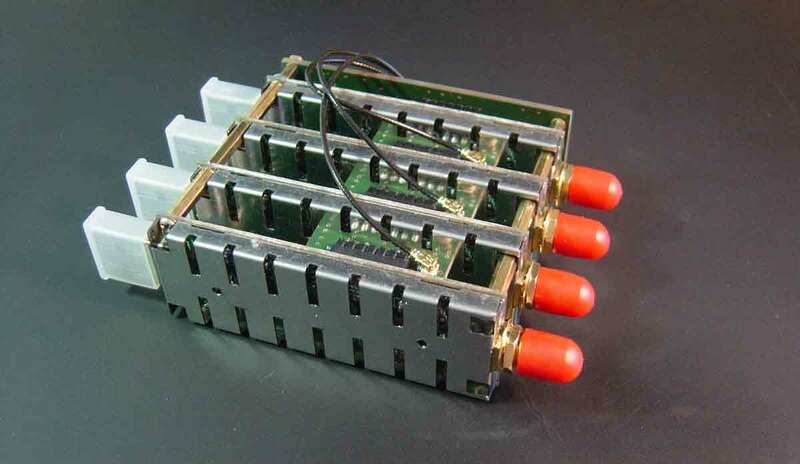 Single channel receivers have a common clock that is distributed from the clock card; you need to power on the supervisor in order to provide the power supply to the clock card. If the clock card is off, it cannot generate clock. Therefore, the system will not work.